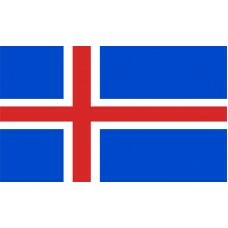 A white cross on a blue background paraded in 1897 were the colors of the first ever Iceland flag. In 1915 a red cross was added within the white cross representing Christianity. This version of the flag was officially adopted as the national flag in 1918 following Iceland's newfound independence from Denmark. Prior to being officially accepted, this version of the flag had been used at sea but after, Iceland had become an individual Kingdom moving away from the group of other Scandinavian countries, hence this version of the flag became official. The three colors of the flag are said to be depictive of the landscape, red being volcano's, white representing snow and ice, and blue representing the blue mountainous regions. 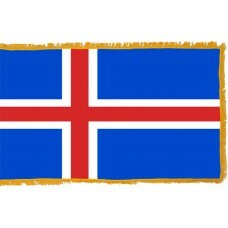 On the June 17th, 1944 Iceland become a Republic and the first law was announced concerning the flag and its use. 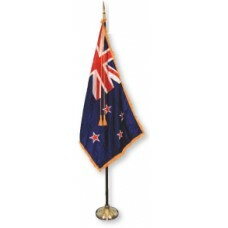 A further two laws were issued in 1991, one defining the time and days the official flag can be drawn and the other, the specific colors the flag is made up of. The law states the flag is regarded as a privilege and not an entitlement, it should be in pristine condition. The owner should abide by the directions of the law for its operation. The Iceland flag is not to be disrespected, there is a possible fine or imprisonment of up to one year if instructions are not followed. The timings for the flag to be flown state not before 7am and ideally not flown after sunset and it must not be flown after midnight. The exception is that it can be raised at an assembly outdoors, official occasion, memorial, or funeral. 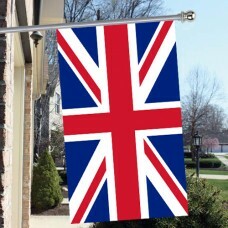 The flag can stay out for the duration of these events but it must not stay out after midnight under any circumstance. The law set on the January 23rd, 1991 sanctioned the national flag days, which requires the flag to be drawn and raised at official buildings supervised by selected representatives of the state. There is a list of Flag days and additional days can be added annually by the Prime Minister’s office. The flag is to be fully drawn on these days with the one exception being Good Friday where the flag is to be drawn to half-mast. The Presidential flag of Iceland bares a coat of arms and is displayed at the homes of the President along with any transport they use. Iceland is located in the North Atlantic, it is a Nordic Island country, with its capital being Reykjavic. It is just outside of the Arctic circle with cool summers and a temperate climate that it is warmed by the gulf stream. The culture on this island comes from its Scandinavian heritage. The Norse and Gaelic were some of the first settlers with current Icelanders mainly being descendants of these. The language is North Germanic originating from the Old West Norse dialect. Oh, God of our country! Oh, our country's God! Our country's God! Our God's country!